It is with a heavy heart that we share the obituary of our dear friend, Dave VanOrder. Dave was a beloved member of our Post, always willing to help and volunteer and loved by all. He was a good man and a great friend, and we are truly sorry to learn of his passing. Please keep Jan and his other loved ones in your thoughts and prayers. 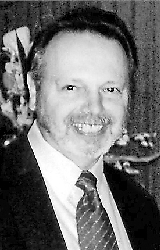 David VanOrder, 63, of Mountville, PA passed into the loving arms of God on July 21, 2015. Born in Buffalo, New York on September 11, 1951. He was the son of Henry VanOrder and Clara (DiPietro) VanOrder. David retired in December 2014 from H.M. Stauffer and Sons, Leola, PA as Traffic Manager. David served in the United States Marine Corps Reserve. He was a member of VFW #7294, Millersville, PA and the Foresters of America. He was a past member of the Thunderbirds motorcycle club. David also served formerly as a Big Brother for Big Brothers Big Sisters of America. He is survived by his wife, Jan, with whom he celebrated 25 years of marriage on May 12, 2015. He is also survived by stepdaughter, Melissa Benner (Nick), Cortland, New York and one grandson, Cody Benner, Cortland, New York. Also surviving two brothers, Raymond H. VanOrder (Sheryl), Mount Joy, PA and Terence L. VanOrder, Centerville, PA. Also surviving David a large extended family with whom he spent some of the happiest times of his life. The family would like to thank Dr. Kristine Dziurzynski and Dr H.P. DeGreen III for their professional and compassionate care and the many friends, family members, and co-workers who have given so much of themselves during this journey. Memorial services will be held Friday, July 24, 2015 at 6PM from the Charles F. Snyder Funeral Home & Crematory, 441 N. George St., Millersville, PA 17551. A visitation will be held two hours prior to the service. In lieu of flowers, contributions may be made in David’s honor to the National Brain Tumor Society, 55 Chapel Street, Suite 200, Newton, MA 02458 or Big Brothers, Big Sisters of America, 2202 N. Westshore Blvd., Suite 455, Tampa, FL 33607.